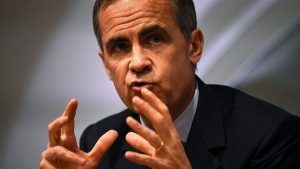 The Bank of England has recently highlighted “risks of adverse spill-overs to the global economy” from a Brexit vote, and flagged up concerns about pressure on sterling, in addition to worries it had already voiced. It may be no surprise that supporters of Vote Leave are keen for these not to be heard. There was a quite surreal segement on the Today Programme on 16 June, when Bernard Jenkin, of Vote Leave, was interviewed and attacked Bank of England Govenor Mark Carney for (as he saw it) breaking the purdah rules that prevent civil servants and publicly-funded bodies speaking out on the referendum, and David Cameron was quoted as saying this was an attack on the Bank’s independence.